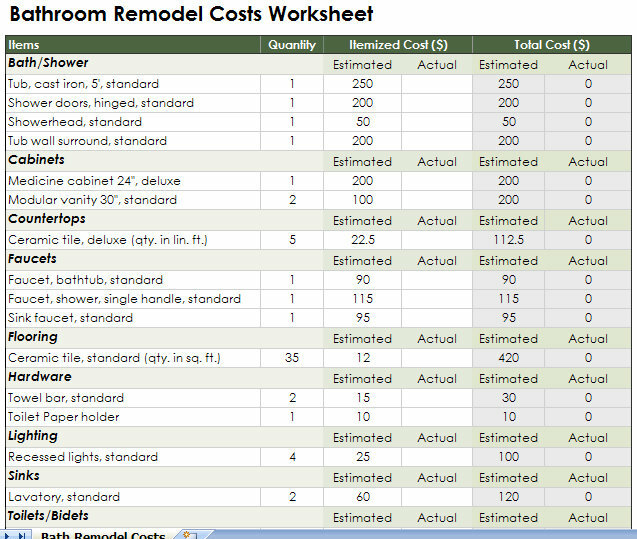 Use this bathroom remodeling cost calculator to keep track of your upcoming bathroom remodeling project. There are columns for estimated and actual cost to keep you on track with your budget! 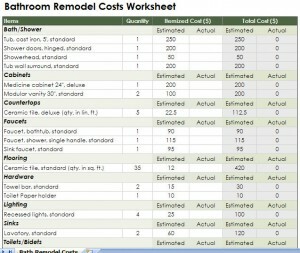 Download this Bathroom Remodeling Costs Template for free today!